These deals are first come first serve, so hurry. Be sure to reserve yours today. All items are discounted and receive tracking numbers upon shipment. Head lice can sometimes be confusing. You may think that the white particles on your hair are just dirt or dandruff but what if its nits and you have head lice already? 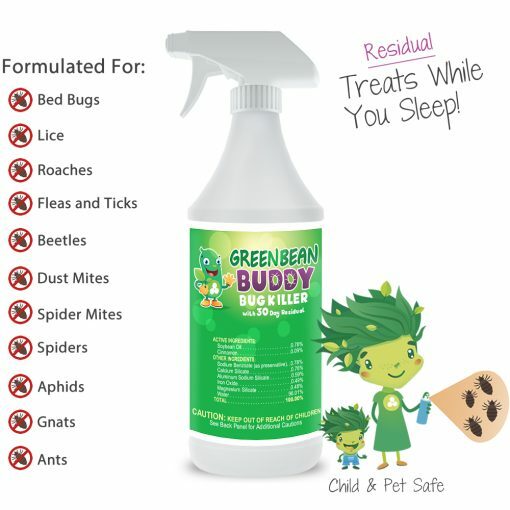 We recommend you to use a homeopathic lice mist that is child safe and made of natural ingredients and a residual lice treatment for your home, bed, linens, couches, backpacks, etc. As we found these lice can scatter thru the entire house. Now on to the procedure on how to check for lice. Just in case your not sure what your looking for. 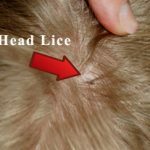 We have a full guide from the creators of LiceMist on what do lice look like. It will show different scenarios on blonde hair, brown hair, combs and other places lice and nits hang out. A great guide to help you get rid of lice. Below is a great guide, please share with friends and family by clicking your favorite social network and share! We’re trying to help as many people as we can. You can’t just go to a store and buy over-the-counter head lice treatment. 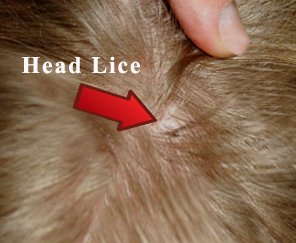 You need to follow some steps to check if you really have head lice. There are also some requirements to effectively check and treat head lice infestation. 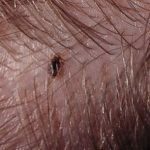 When checking if you or someone in your household have head lice, you need to do these things to make it easier for you. First requirement is go to a well lit room or good lighting to easily spot eggs (nits) and also lice. If you have dark hair, it may be a bit hard to see the nits and lice as then can sometimes be gray, black or brown. 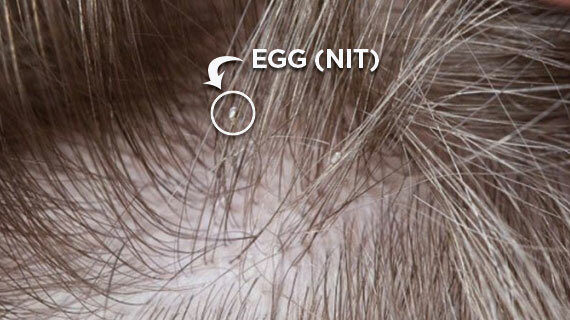 Nits can usually be found near the scalp and is cemented on hair shaft. 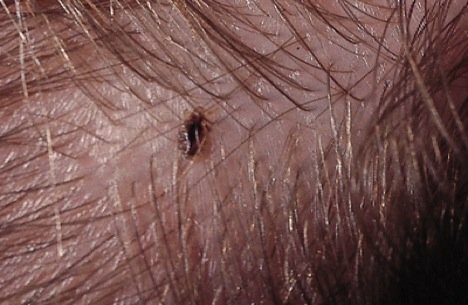 Nymph and adult louse can usually be found on the scalp or sometimes on hair but they crawl so fast you will have a hard time if you are in a not well lit room. Next requirement is to have homeopathic lice treatment and a nit comb. It would be better to have a lice treatment that is kid friendly and made from natural ingredients. 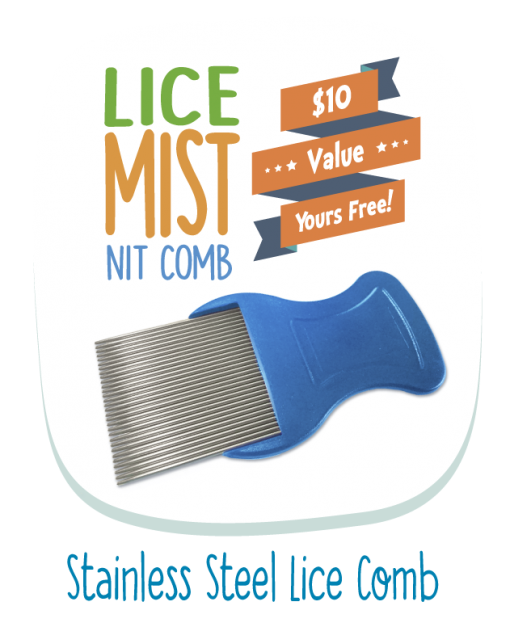 Also a nit comb is a great combo to a lice treatment because it can easily get off the nits and lice. Last thing you need is optional but nice thing to have and that’s a magnifying glass. 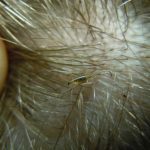 Since nits and lice are so tiny, it can be hard to spot sometimes. A magnifying glass would be helpful. Now that you have all the requirements ready, it is now time for the steps in checking for head lice. Below is the inspection process. It’s the first part of getting rid of lice. 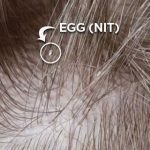 So be sure to review the images we placed below to help you identify lice in brown hair, blonde hair, and what are difference between eggs(nits) and lice themselves. When doing the inspection, you need to do 2 things. 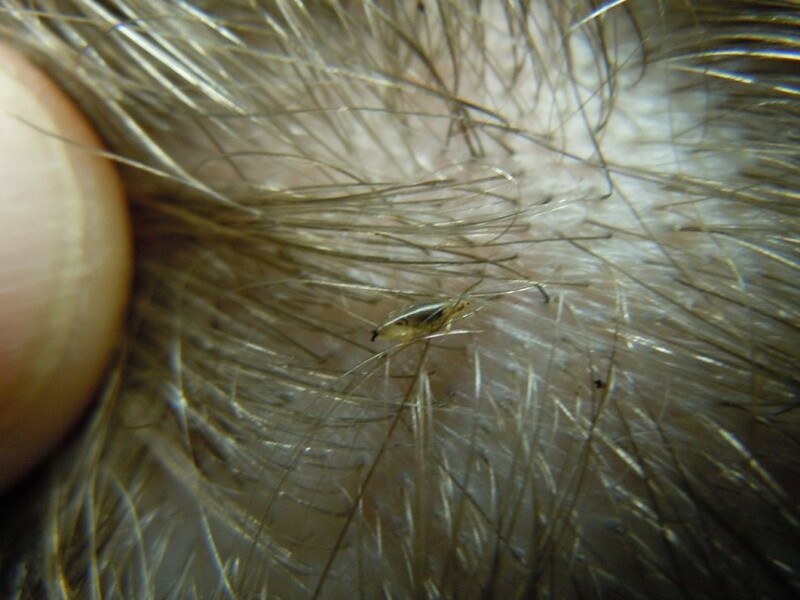 First is to search for nits and lice beginning from the bottom of the neck to the back of the ears. Theses spots is where you can usually see nits and lice. Don’t forget to check near the scalp. 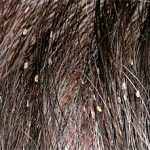 Adult lice can be seen most of the time crawling around in hair and most likely near the scalp area. This is because this is where they feed. Unlike dandruff that moves when touched, nits stick to hair. 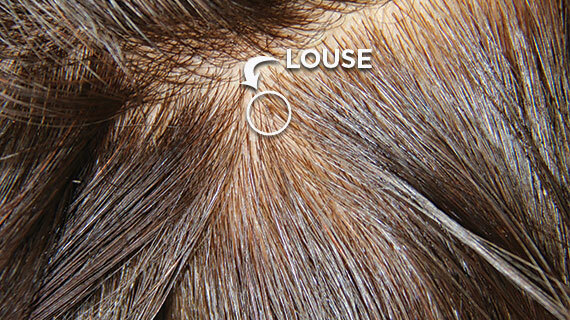 Next thing you need to do is to divide or section the hair then inspect each section for nits and lice. This way, it will be a lot easier and more organized instead of doing it from different place all at the same time. After doing the search and sectioning the hair it is now time to kill these lice using a homeopathic lice mist. Using a lice treatment that has natural ingredients, safe for kids and doesn’t contain pyrethrin. We recommend you to use Lice Mist that is proven to be effective and yet gentle and safe to use to your kids. You just need to make sure that the hair is dry and don’t put too much product. Do not drench, just mist the hair. In this step, make sure that the hair is slightly damp. Most people forget lice spread very rapidly not only in the hair and body, but in the home. While you or your children sleep in the bed, lice start migrating into the pillows, linens, and beds. Then lice also migrate to popular rest areas like the living room, couches, and other parts of the home. You may wish to use a residual lice home treatment spray. This way it will kill the lice and other pests as well as prevent from another re-infestation. Don’t forget there is a risk for the lice to be nesting in the pillows, beds, and linens. 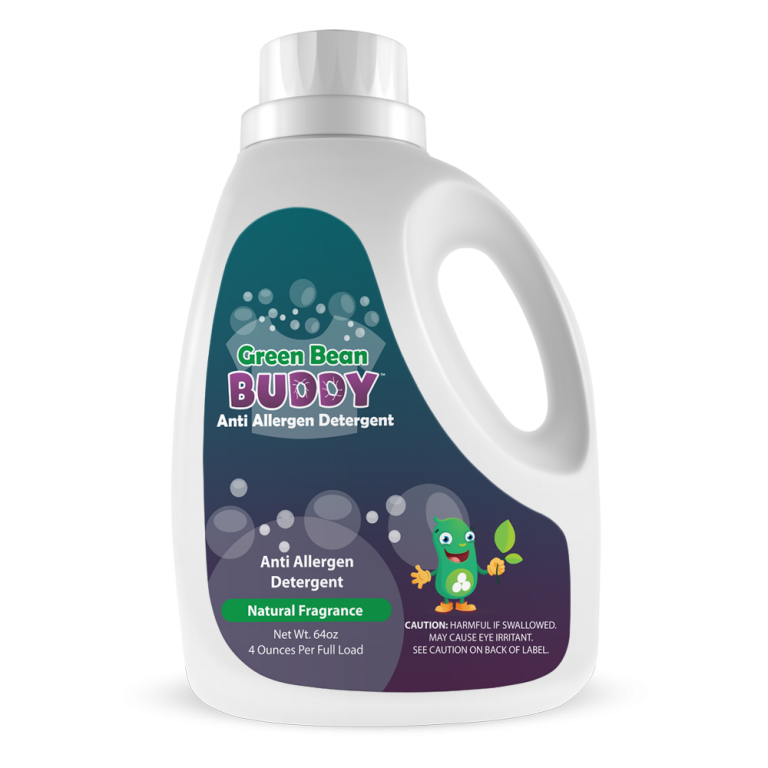 Resorts and health facilities have been using Green Bean Buddy hypo-allergenic detergent that is formulated for pests. This is a great laundry replacement and great for hyper-sensitive customers who want a delicate detergent. After doing your normal treatment. 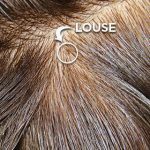 You will always want to re-treat and do another round of Lice Mist in the hair or body just in case. 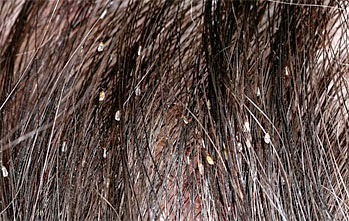 As the lice can be transmitted from external sources. So it’s always a good practice to re-treat till you feel there is no more risk of lice. Comment below if you have any questions regarding head lice and how to treat them and we will be happy to assist you.